InHand has been blogging a lot recently about the advantages of Modified COTS, where a commercial off-the-shelf (COTS) circuit board is used as a validated starting point for a customized design. We have discussed how to leverage our commercial off-the-shelf (COTS) Fury-F6 single board computer (SBC) for new designs, and previous InHand modified COTS projects. The COTS focus has traditionally been on circuitry and low level software. Today, I discuss extending the Modified COTS concept to finished devices. A finished electronic device includes circuitry, software, and other components integrated into a package that holds everything together. The package is usually designed to meet a form-factor, and implements user accessible features such as a display device, buttons, and perhaps connectors for external peripheral interfaces. The electronic device must meet various regulatory certification and product environmental requirements. Examples of regulatory requirements include: FCC Part 15 for electromagnetic compatibility, cellular carrier certification, and industry-specific certifications as needed (e.g. FDA for medical devices or FAA for aircraft electronics). Examples of environmental requirements include: temperature, shock, vibration, humidity, drop, and water tightness. Certifications require testing and additional design/production iteration(s) if a problem is found. There are a number of technical factors – with cost and schedule implications – involved in designing and bringing to product a rugged device from the ground up. Electronic Circuitry: Seemingly minor schematic or circuit board design errors can lead to long debug and re-design cycles. Signal integrity problems are particularly hard to isolate and resolve. Each circuit board spin has overhead costs of tens of thousands of dollars for labor, tooling, and low-volume manufacturing of circuitry, accompanied by lead times of at least four weeks. Software: Debug can be complex and surprisingly time-consuming. Today’s embedded devices include software at multiple levels- boot loader, operating system, device drivers, abstracting middleware libraries that bridge application level code and drivers, and the application code itself. Hardware device settings can cause unanticipated behaviors and interactions. This complexity causes lengthy debug cycles, particularly for intermittent problems. Do not underestimate the amount of schedule slip a single software problem can cause. Mechanical Design: Mechanical design integrates the various physical device components: Circuit boards, displays, switches, buttons, connectors, and enclosure materials must fit together precisely. For watertight devices, seals must fit and work perfectly. Any issues can lead to root cause analysis and design iteration. Accompanying iterations are potentially significant tooling costs and additional schedule time. For example, injection molds for plastic parts can require tens of thousands of dollars of NRE and require over a month to build molds. Certification: Device certification – depending on the specific requirements – can require multiple months of design/test iteration if problems occur. For example, FCC Part 15 certification involves EMI/EMC testing where problems are often identified. Solutions typically involve in-place trial of electronic filters, EMI gaskets, and other components while paying high test lab use fees. These solutions may require further circuit or mechanical modifications to the product, adding to NRE costs and schedule. With all that can go wrong in a device design, it would be advantageous to utilize a Modified COTS methodology at the device level, and not just at the circuit board level. A Modified COTS device uses a working device-level platform as a starting point, and modifies the design as needed for the specific application. In doing so, instead of starting from scratch – as in full custom designs – the new design starts designed, tested and ready to be modified. In doing so, the expensive design iterations outlined above can be minimized or avoided. 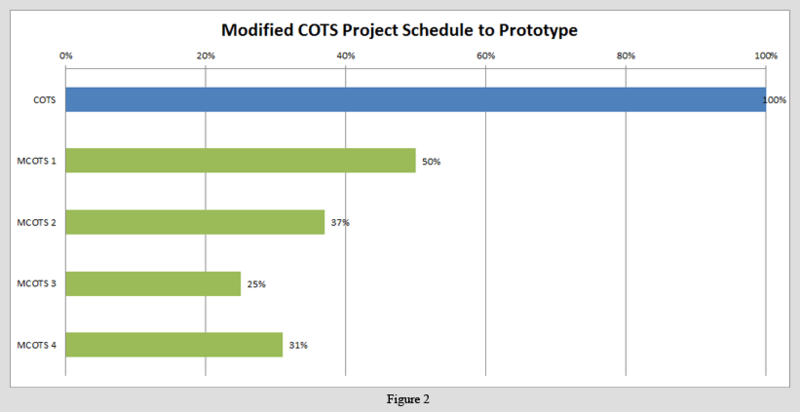 Modified COTS devices greatly reduce the cost, schedule, and risk throughout the design, development, and test of packaged-level electronics product. An example of a COTS device platform useful for a Modified COTS device design is InHand’s Hydra rugged tablet series. InHand’s first tablet was the Hydra-T3, based on the Texas Instruments DM3730 ARM core. InHand designed the circuitry, modified the Android operating system as needed – to support the tablet hardware – and designed the mechanicals and enclosure to meet military-spec ruggedness. The Hydra-T3 was designed for EMI/EMC, immersion in water, mechanical shock, and other requirements. Based on the Hydra-T3, InHand designed its second generation tablet: the Hydra-F6. The tablet includes InHand’s Freescale i.MX 6 based Fury-F6 SBC, its companion Muse-F6 carrier board, powered by the Android OS.. While meeting the same enclosure mechanicals of the Hydra-T3 (leveraging its case, touchscreen, display, and peripheral assemblies), InHand designed the Hydra-F6 circuitry to provide upgraded functionality within the existing form-factor. The Android OS was released to match the upgraded processor. In accomplishing this, InHand perfected the modified COTS device concept. The Hydra-F6 is currently serving as a reference platform for multiple Modified COTS devices, each to be offered for sale, private labeled – and customized – for other companies. In all cases, the use of the Hydra-F6 platform offers minimal cost, risk, and schedule. The ‘modified’ part of modified COTS means something different for each product. 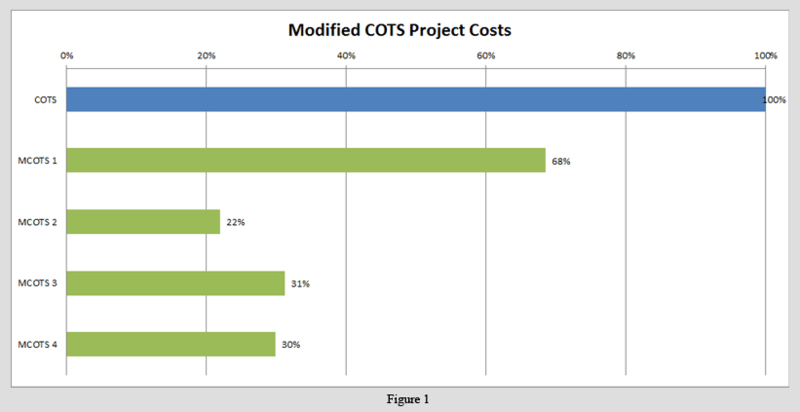 Examples are provided below, with a comparison of costs and schedules for the development of these modified COTS examples in comparison with the original COTS platform. COTS Design: InHand’s original tablet was the Hydra-T3; described above. Modified COTS Design #1 (MCOTS 1): InHand’s Hydra-F6 tablet, a modified COTS design based on the Hydra-T3. As described above, this involved an upgrade in the circuitry and software, with some minor mechanical tweaks, such as the addition of a SIM card door allowing users access to its cellular SIM card slot without disassembling the entire tablet rear cover. Modified COTS Design #2 (MCOTS 2): Defense-related handheld device used in field operations, based on the Hydra-F6. Here, the Fury-F6 processor board and display are used as-is. The Muse-F6 carrier board schematics and circuit board files were modified to remove unnecessary functions and to add application specific peripheral interfaces. The enclosure mechanical files were used as a starting point and modified to accommodate a different user button scheme, military-grade connectors protruding through the case, and space include a third party circuit board. As a part of this project, InHand modified the Hydra-F6 Linux BSP to integrate libraries that enable application-level programmers to implement a GUI and access the application-specific features. Modified COTS Design #3 (MCOTS 3): GUI front end for a medical device. To reduce recurring cost, the Fury-F6 and Muse-F6 SBCs were combined into a single circuit board (using the proven schematics and circuit board artwork files as starting points) and unnecessary circuitry was removed while application-specific interfaces were added. The Android operating system was updated to accommodate these new interfaces. The front end was delivered to the customer with the circuitry, display, and touchscreen mounted on a bezel as a single SKU for integration into the product device. Modified COTS Design #4 (MCOTS 4): Vehicle-mounted display. This display device required a subset of the Hydra-F6 tablet interfaces, a custom-defined connector for vehicle interface, and a smaller display with extender temperature specifications. Using the Fury-F6 and Muse-F6 schematics as starting points, unneeded interfaces are removed. The remaining circuitry was consolidated into a single circuit board, an updated display interface circuit was designed, and the custom connector was implemented. The enclosure was custom-designed to meet the vehicle specifications. A slightly modified Linux BSP was provided. Below, Figure 2 illustrates the time from project start to delivery of first prototypes. The full project time was not shown, since it is highly dependent on external schedules that may include integration with larger systems and certification testing to different sets of requirements, time to prototype is the best schedule comparison here. The time to achieve first prototypes of the Hydra-F6 (MCOTS 1) was just half the time of the COTS reference platform, since large amount of the original design were leveraged. The MCOTS 2, 3, and 4 designs have even greater time savings, since the Hydra-F6 embedded computing platforms were leveraged. Between these three projects, schedule variation depends on the complexity of the changes required and any external lead times for special requirements, such as custom displays. Use of proven circuitry, including: schematic and printed circuit board files, reduced engineering design costs and technical risk – as the new features have elevated risk of design mistakes and signal integrity problems. Use of proven baseline operating systems (Android and Linux) that accompany the COTS tablet reduce design costs, technical risks, and help accelerate application development through the parallel use of a COTS development platform. Having a verified enclosure and internal piece parts reduces design costs and promotes a greater understanding of real-world consequences of mechanical design trade-offs that de-risk changes made for modified COTS devices. The designer works from a physical working device, rather than abstract 3D models on a computer that can be hard to visualize. The elimination of problems such as electromagnetic emissions and mechanical parts fitting, as well as accounting for lessons learned with the design of the COTS device removes issues that could potentially be found on a ground-up device design. Each custom device leveraged InHand’s core competencies for portable electronic device design and user interfaces, while allowing each customer to focus on its own added value and core competencies. InHand designed and debugged the embedded processor circuitry, software, and mechanicals, including network and display peripherals – providing the basis of a power-efficient, user interactive mobile device. The customers each integrated the modified tablet into its system and added specialized circuitry and the end application software. The combination of these advantages minimizes cost, schedule, and risk at the product level – not just at the subsystem level. Modified COTS devices enable novel products to be introduced into the marketplace using a proven baseline, which allows each party to focus on its core competency. Abstracting the modified COTS concept from the circuit level to the device level allows companies with rugged embedded device applications to minimize their cost investments and time to market, while leveraging the fruits of InHand’s self-funded labor. Ask InHand how we can satisfy your mobile device needs.